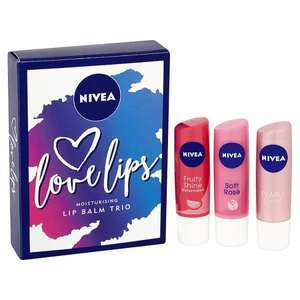 Free click and collect , or free delivery if you spend £10 and have a superdrug beauty card.Just bought two boxes of these, RRP for one individual Nivea Lipbalm is £2.49 for these particular ones although they are often on offer for 99p each. however three for £1.50 is a brilliant price . 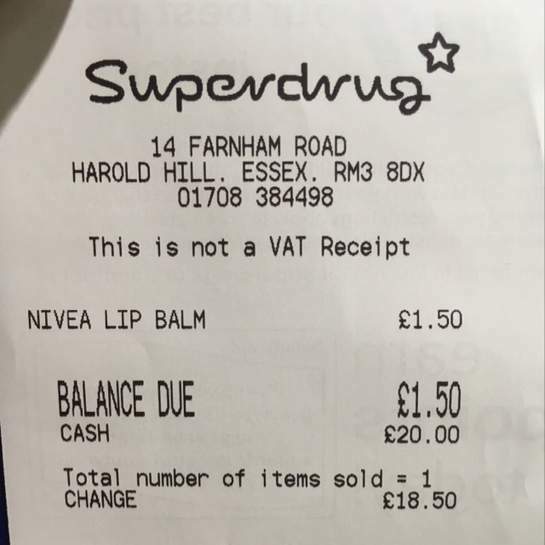 seem to have gone in and out of stock online so worth putting a stock alert on, but also now been confirmed as same price in store too. thank you will tey them tomorrow. Going to pick up the ones I ordered from town tommorow, but at that price I will be buying more if I can find them in store . ‌ Going to pick up the ones I ordered from town tommorow, but at that …‌ Going to pick up the ones I ordered from town tommorow, but at that price I will be buying more if I can find them in store .